SUGGESTED USES: Protecting and lubricating sewing machines and other fine equipment. 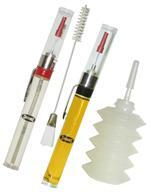 Two Precision Pen Point Needle Oilers with Clear & Amber Oils and Bellows Grease Dispenser Including Application Brush. 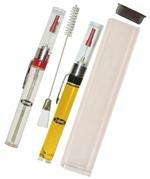 Precisely place oil or grease where needed with high quality oils and grease. 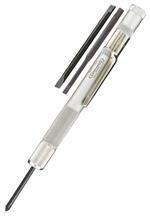 Precisely place oil where needed with high quality oil Made in USA .